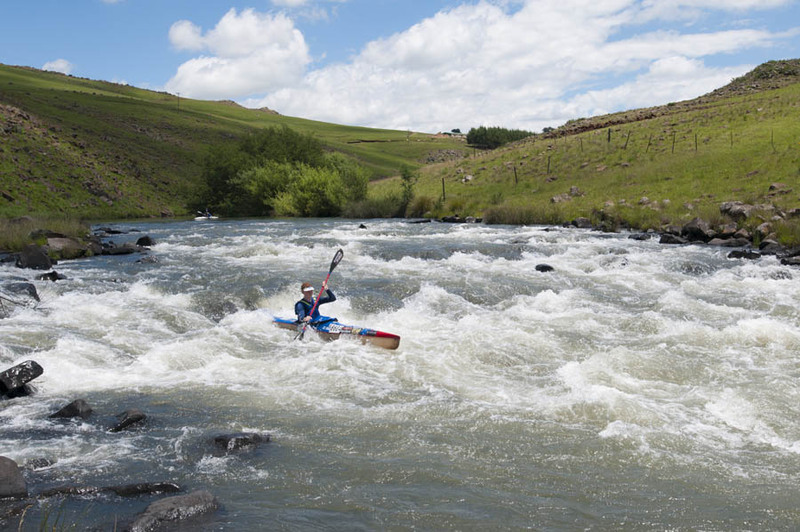 The biggest rapid on the leg from Swartberg Bridge to Scotstons bridge in Underberg, this was named after Dale Thomlinson, the founder of the Drak Challenge, though it is not really a Terror! At a medium level the line is straight and central, but at a lower level it becomes more technical and the central line is not navigable. In low water start river right (the river actually flows around and island here but the right hand channel is not paddleable and often full of debris). Once into the rapid look for a big rock in the final drop and aim to skirt this on the left. Thommos is followed by two fun drops, Thommos Two and Thommos Three which are both shot dead centre.